You've probably heard of UBA's New Banking ChatBot, the digital assistant who goes by the name Leo and must have thanked your stars for sending you yet another Messiah who'd save you the stress of going to the bank? Well, how true is that? 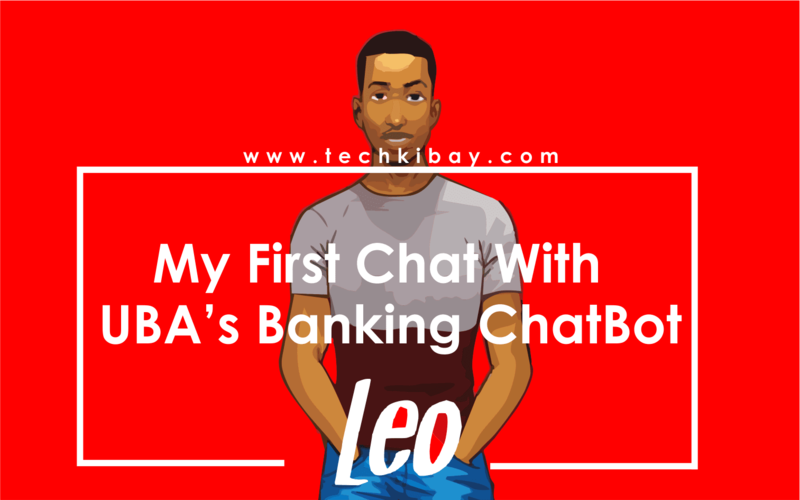 Unarguably, Leo is the first artificial intelligence chatbot in Nigeria's banking sector. In a partnership between the United Bank for Africa and Facebook Messanger, (in Wizkid's voice) Leo was created to assist and bring banking "closer" to us. Which is very much welcomed! So UBA claims Leo can help us do almost everything we do at the bank ranging from buying airtime, transferring funds, opening a new UBA bank account and checking account balance (which am going to try out). But from the look of things, Leo is practically limited and is not so much as a personal assistant as Apple's Siri, Google Assistant or the Samsung Bixby. I almost tore my hairs out. Wait! I got a thumbs up?? As earlier mentioned this is my first chat with Leo and I was really hoping Leo gets to know me. At least courtesy demands an introduction. Could it be that Leo is only interested in knowing your Account details? We'll find that in my next chat - What Can Leo Actually Do? Got any question, kindly drop them in the comment box. Or better still scroll down till you find "Want more stuff like this?" Enter your email address and you'll get the best update sent to your inbox.